Another piece of artwork? 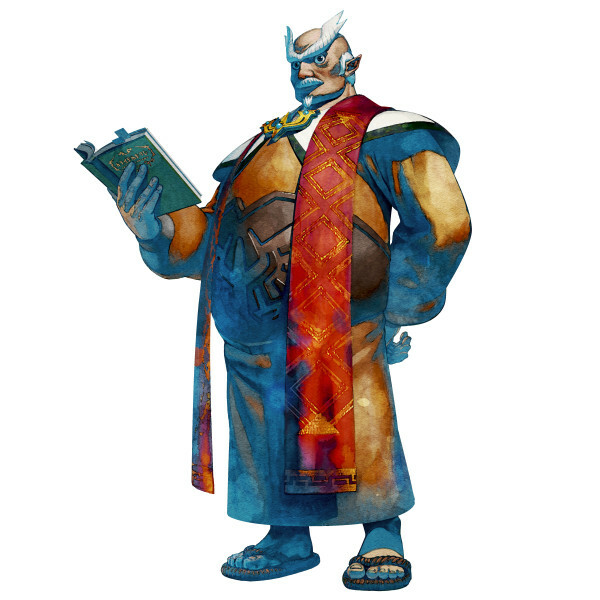 Why yes, this time it’s none other than the headmaster of the Skyloft Knight Academy and Zelda’s father, Gaepora! The official artwork was recently posted on Nintendo of America’s official twitter page. Though Gaepora looks a bit rounder in the artwork than in previous trailers and screenshots he’s still looking wise and more stylish than ever. Another interesting detail we can pull out of the artwork is the book Gaepora is holding, it looks familiar but what could it be? Be sure to take the jump to read our thoughts on the subject. By now we have all made the connection between this Gaepora and the Kaepora Gaebora from previous Zelda installments that appeared as a wise owl. Kaepora Gaebora being the creature that guides Link in his many adventures has always been known to have a vast knowledge of Hyrule, but how did he obtain this knowledge? The book featured in the artwork could be a hinting as to why that is. You may have noticed the book being held bears an awful resemblance to an item of great importance from A Link to the Past, the Book of Mudora. Those of you unfamiliar with this item should know the book is a collection of ancient Hylian stories as well as a translating guide for the Hylian language. 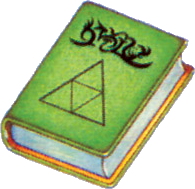 Seeing that Skyward Sword is said to be the earliest game on the Zelda timeline it would make sense why The Book of Mudora would make an appearance. From the various impressions we’ve read so far it is known that there are many possible references to games such as The Minish Cap and Link’s Awakening, so why not A Link to the Past. One last thing that I have noticed which furthers my opinion that the book in the image is the Book of Mudora, is the Ocarina of Time 3D easter eggs. You may have noticed the various Skyward Sword easter eggs that appear in the game but did you notice the ones in Impa’s house. In the 3D version of OoT Impa’s house contains many hints that weren’t in the previous version. There was also another addition which laid on top of the table, a strange green book that had a Shekiah symbol on it. Could this have been an early hint to the books appearance in Skyward Sword? So what do you guys think? Will this book be the Book of Mudora? Do you like the new artwork? Post your thoughts below!